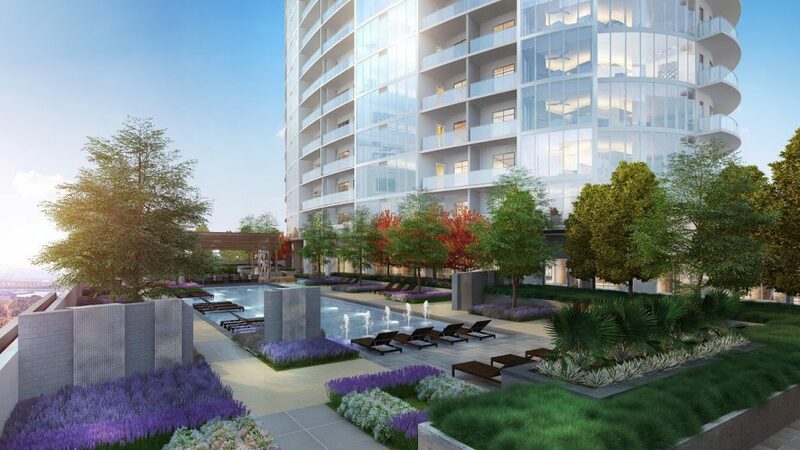 A 29-story residential high-rise will soon open in Legacy West. 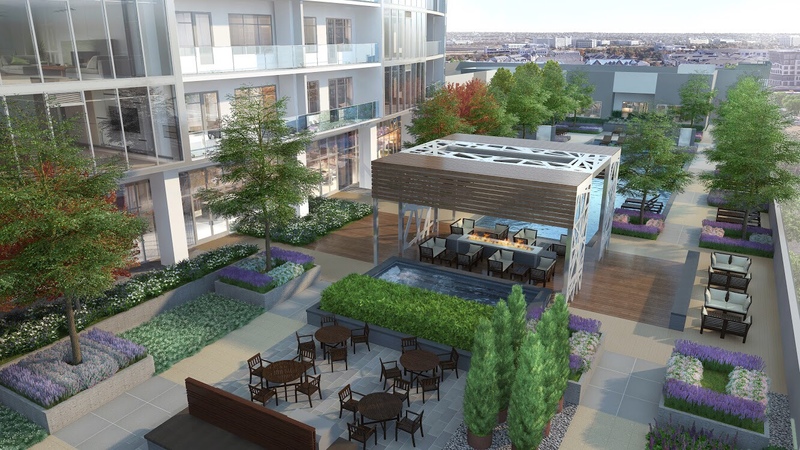 LVL 29 is slated to open this July north of the junction between Headquarters and Communications Parkway, within walking distance of Legacy Hall, Haywire, and other shops and restaurants in the shopping district. The high-rise will be managed by Lincoln Property Company, who has already begun leasing the building. LVL 29 will offer 328 units, ranging from 680 square feet apartments to 3,580 square foot penthouses, along with townhouses. Inside each unit, windows will be lined with roller shades. In each premium kitchen, occupants will have quartz countertops, premium stainless steel appliances, extra-deep under-mount sinks, and pull-out pantries. 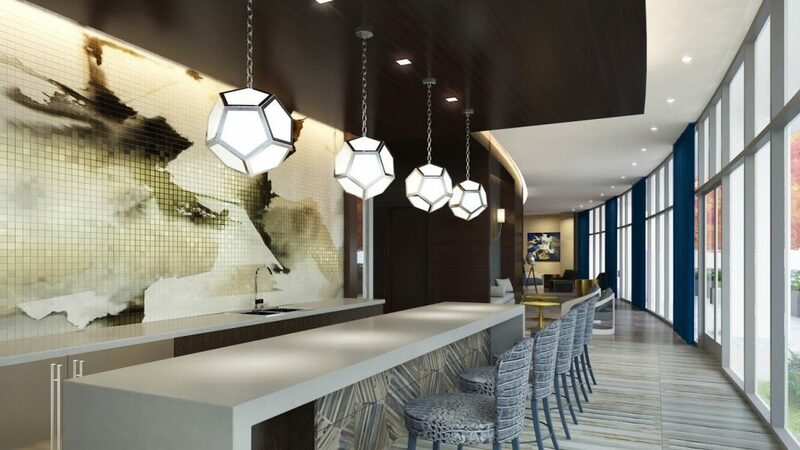 The high-rise will also boast many luxurious amenities, including a fitness center with a drink bar and towel service. 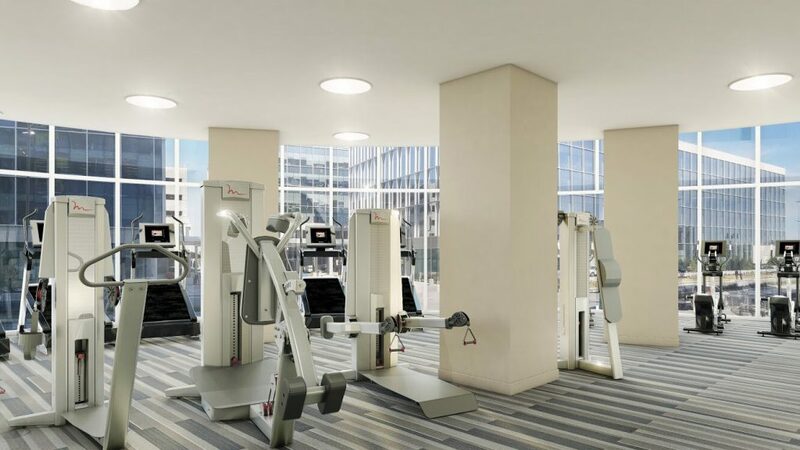 Other health and wellness amenities include a cycle-spinning room and fitness-on-demand yoga room. 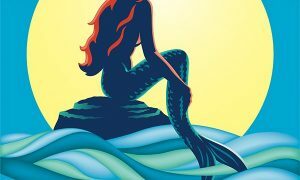 Outside, there will be a 100-foot-long resort-style swimming pool, along with a tanning deck. There will also be two outdoor kitchens with grilling and eating areas. 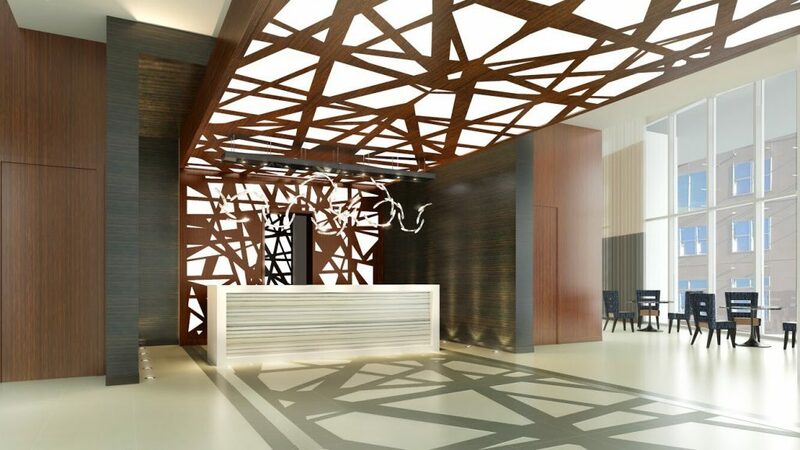 The lobby will operate on a 24/7 schedule, where an attendant will welcome visitors at all hours. 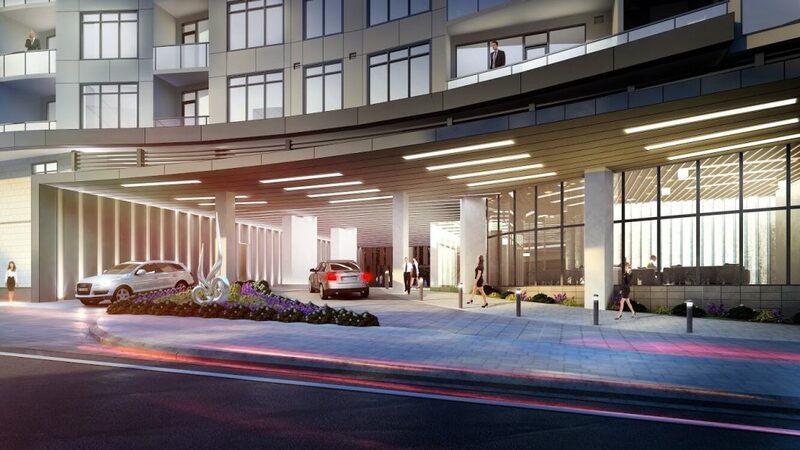 LVL 29 is currently offering exclusive hard hat tours, which can be scheduled by contacting the leasing office. 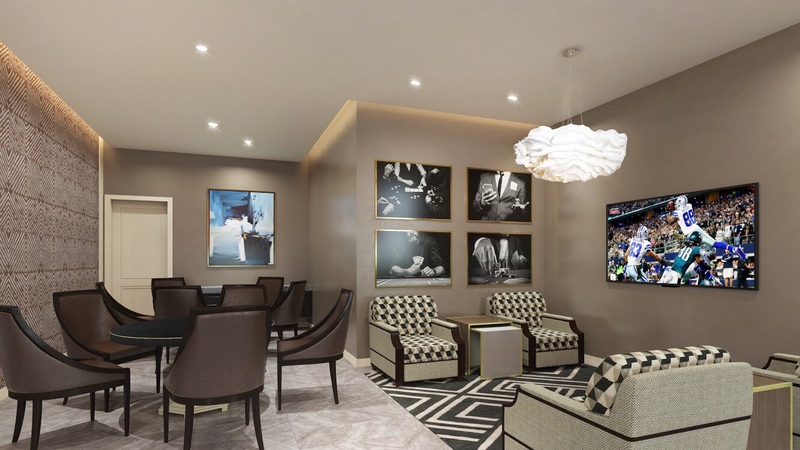 The luxurious high-rise is also pre-leasing units online. 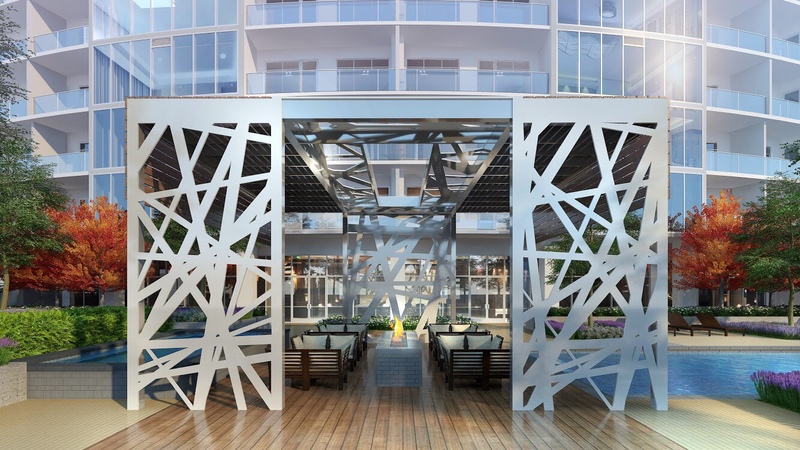 The 29-Story Homerise® Signature Design was developed by NE Development in conjunction with Hunt Construction Group, Humphreys & Partners Architects and Henderson Design Studio.